Options contracts can provide a buyer with an opportunity to buy stock for a significantly smaller price. 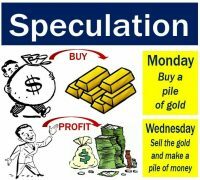 Speculating is based on predicting a price direction in the future. Some traders find speculating with call options to be a great opportunity because they can give leverage. If a speculator presumes the price of a stock will grow, they may use an out-of-the-money call option in order to obtain stocks at a lower price. We will illustrate this with an example. Let’s say one contract is 100 shares of YX stock, and the current price is $100 per share. A call writer can give an option that one contract’s strike price is $2 and that it has one month till expiration. 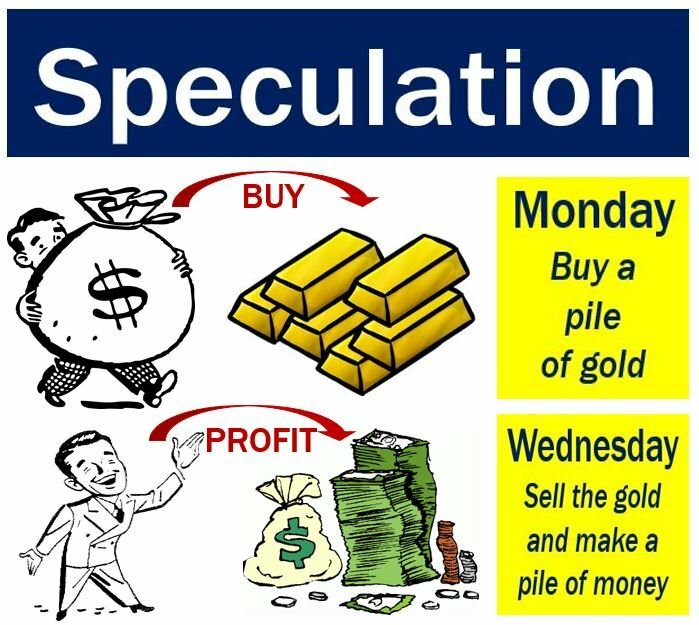 A speculator can use this leverage and buy 100 shares for a premium of $200 instead of spending $10,000. Controlling the same amount of stock bought at a much lower price gives the speculator the leverage. Nevertheless, this is only lucrative if we predict the movement of the stock price correctly, as well as the magnitude of the price change. The time frame plays a great role as well. Depending on the trend of the stock, this could potentially provide huge gains. On the other hand, it could lead to premium loss of 100% if the prediction was wrong. This contributes to the fact that speculating is, in the end, risky. Hedging was invented to protect the investor by reducing the risk. It is similar to paying insurance. If we pay a fixed amount every month to ensure our property, we only lose the known amount in case something happens. With hedging, the principle is the same. Some might argue that if we feel like we need a hedge, we shouldn’t be investing at all. The practice has shown, however, there are benefits of such a precaution. If we buy stocks and use put options, we can protect ourselves against the downturn by limiting our downside risk. In case the prediction was wrong and a short squeeze occurs, short sellers can use call options to limit their loss. Using an option called spread entails combining speculation with loss limiting through hedging. Spreads usually cost less; however, they can limit the potential upside. A spread is an option that combines multiple options with similar features. That means we can buy one option and sell another option of the same class. We call it a vertical spread because the second option will be of the same type and have the same expiration date. However, they will differ in strikes. Combinations are strategy options where we can take both the call and the put position of the same stock. The combination trade known as ‘’synthetic’’ is very popular. The goal of this move is controlling the position of the assets without actually buying them. Taken that we have a stock YX we are interested in, we can use a combination strategy to create a synthetic long position in this stock. Entering a synthetic trade would mean selling at-the-money put and purchasing at-the-money call that both have the same expiration and strike. However, this combination of a long call and short put doesn’t give us the ownership of the stock. Nevertheless, it influences the long position of it. If there are reasons of legal or regulatory nature that restrict us from buying the stock, we can still use options to create a synthetic position. In addition, having an asset like an index that poses as difficult to recreate from individual components may call for this option. Going long a stock that’s up substantially in a short period of doesn’t make too much sense when you really think about it. However, if you’re not a buyer, it doesn’t mean you have to automatically become a short seller either. Short sellers know that risk management is of highest priority. Initiating smaller than usual positions for short ideas will certainly help, however, it’s not enough to prevent any disasters if a stock opens up significantly above the stop loss. Luckily, there are indeed some alternatives to equity short selling. These alternatives will allow you to have more control over risk management and help you prevent any potential calamities. If you really want to bet against a stock, you should look into buying put options. By doing this, you’ll gain the rights to sell the stock in question by a certain time at a certain price. In order to get that privilege, you’ll naturally have to pay more money to the seller who assumes the risk and is obliged to buy that certain stock from you at a predetermined price. When compared to shorting stocks, this gives you a number of advantages. For instance, with buying puts, in worst case scenario, you’ll lose the premium you already paid in advance. Compare this to short selling, your possible losses are almost unlimited. Another big problem with short selling is that you won’t be able to do it anytime you want. In certain cases, the stocks you want to short are hard to find. As a matter of fact, some brokers have a difficulty finding shares to lend out. What’s more, the Securities and Exchange Commission can even take action and stop investors from shorting some organizations. In the past, we saw this happen with JPMorgan and Bank of America. Lastly, buying a put won’t require paying periodic dividends, which will help you a lot. 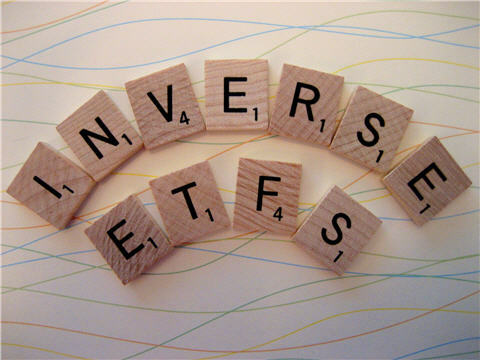 An inverse ETF uses certain methods in order to produce a performance on a daily basis, which is in the opposite direction of a certain index. These funds usually have a one-to-one correlation with the targeted index. Alternatively, they can also be leveraged. Along with other ETF’s that use derivatives, inverse ETFs aren’t used as long-term investments. One of the biggest advantages Inverse ETFs have over short selling is that they don’t need the investor to hold a margin account. Also, you can use certain inverse ETFs to profit from declines in broad market indexes. Furthermore, you can even buy inverse ETFs that are focused on a specific sector like energy, financials or even consumer staples. Additionally, short sells require you to pay a stock loan fee to the broker who you’re borrowing shares from in order to start. Stocks with high short interest can even result in difficulty to find shares to short. This drives the costs up and in most cases, the cost of borrowing can surpass 3% of the amount that’s borrowed. On the other hand, most inverse ETFs have expense ratios of below 2%. No matter which one of these options you go with, you have to keep in mind that the market doesn’t always function logically – quite the opposite actually – and that every option has a limited life. Even things you think are certain can take a long time to occur. Therefore, you have to be at ease with the risks involved before you make buys, sells or trades. Before you actually build your plan there are things you will want to learn. It is really important to differentiate between system traders and discretionary traders. The former will commonly use a certain level of automation in their trading plans and set objectives of trading. The latter, however, will watch the market and trade manually in real time. They will respond to information that is available at the time. An average trader will start as a discretionary trader. After all, that is what most imagine when they think of trading. They will use their intuition combined with the information they have to make decisions. On the other hand, we have a system trader. A system trader will follow the logic of the system as closely as possible. The rules are absolute and it is natural to even set up an automation of trades. 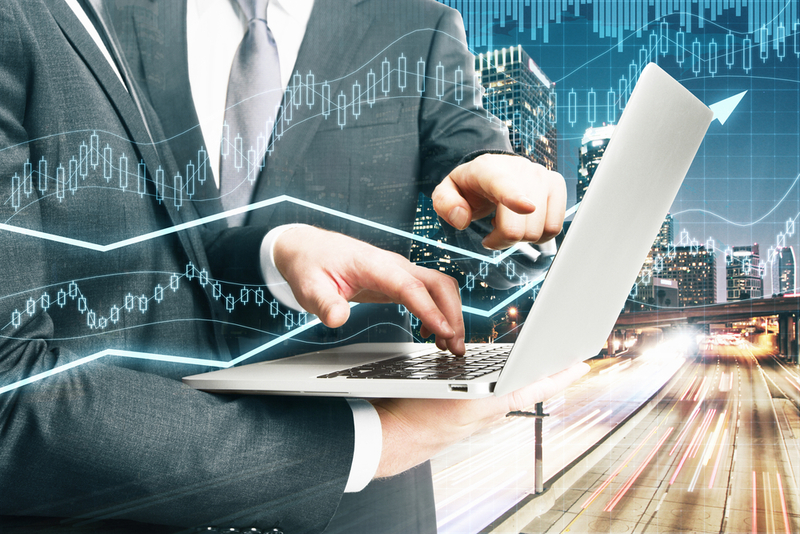 The trader will set up a strategy and the computer will handle the activities. You can use tools like Trade Ideas to find ideal trading strategies and automate your search for stocks. So, before you make your trading plan, you will have to decide on which type of a trader you will be. 1. What Markets Will You Use? There is no reason to limit yourself to stocks. There is quite a selection you can use. You can trade commodities, ETFs, bonds, futures etc. Of course, you will want an instrument that trades under good liquidity. If there is not enough trading you will not have your opportunity to profit. Even if you choose to be a discretionary trader, you will want to make decisions with a chart. You can base your chart on activity or volume. There is no superior choice here. If you plan to be a long-term trader you would do well with a longer interval period. Alternatively, if you opt for short-term trades, your intervals should have smaller periods. In order to make it in the trading world, you will probably have to use technical indicators. They are mathematical functions that are evaluating your trading instrument’s price and activity. The indicator alone cannot tell you what to buy. It simply provides you with signals regarding trading points you can use. The interpretation of them is still up to you. You can use indicators that work around momentum, volume, volatility, and trend. Other than the indicators you should also define the settings in your plan. Try to specify them in your plan. For an example, if you are going to use a moving average, specify exactly how it should be done. Any instructions or time periods should be exact. 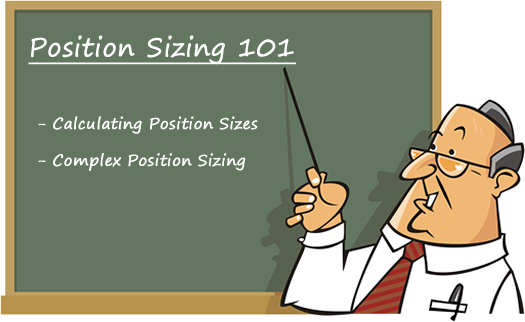 Position sizing is the dollar value of the investment. It is essentially the amount an investor is going to trade. It can also be used to track how many shares or contracts you wish to buy or sell. A new trader will commonly start with an e-mini contract. This way, they can test their system. You should come up with a set of entry rules to avoid impulse buying or selling or over analyzing the situation. 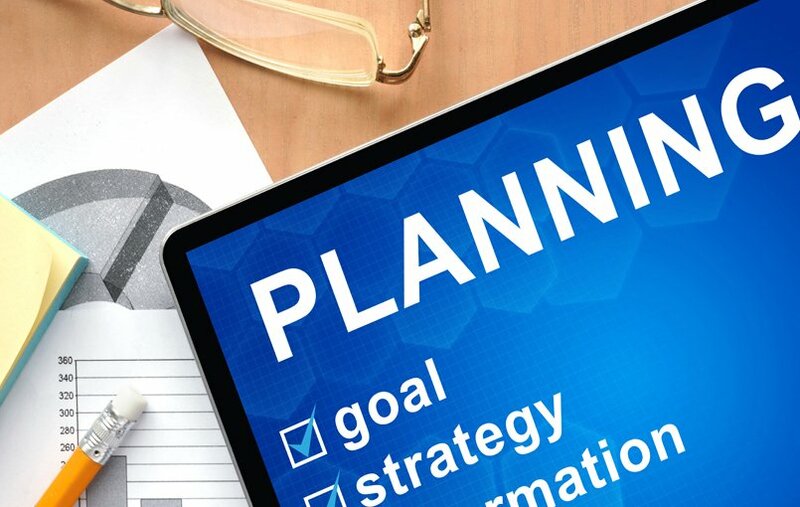 The entry rules in your plan serve to make sure you follow the plan. Otherwise, if you are too conservative, you will miss out on opportunities. Alternatively, if you are too adventurous you stand to lose money. With the entry rules in your plan, you can take your own flaws out of the equation. Exiting a trade is the harder part of making a profit. If you make a right decision you can profit from almost any trade you go in. Do your research and testing and make sure your exit rules are good. Try to define various trade outcomes. Set up your profit targets, stop levels and strategies. The emergence and rise of cryptocurrencies and blockchains has gone hand in hand with the digitalization of our society. In 2009, a person (or group) known as Satoshi Nakamoto has devised the blockchain. 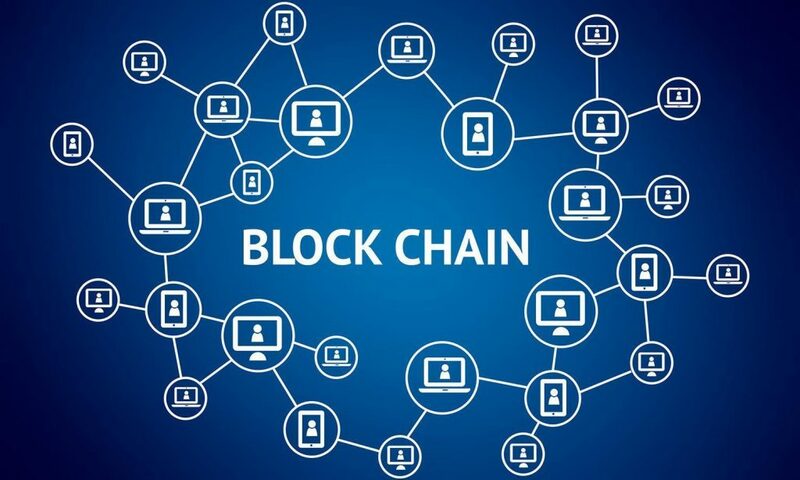 A blockchain is a software that stores information across a network of personal computers. As its name suggests, it represents a chain of information-containing blocks. Each block includes three components. The data, the hash and the previous block’s hash. This last feature is what gives the system its security and stability. Namely, if someone would tamper with one of the blocks, this would automatically invalidate all subsequent blocks. That is, except for the first one, the so-called genesis block. In such a concept, the hash serves as the data’s fingerprint or signature. 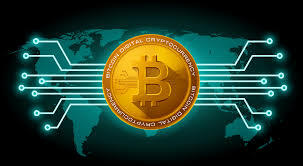 Applied to cryptocurrency, for example, the bitcoin blockchain stores the data of sender, receiver and the amount of coins. A major feature of the technology – and the cryptocurrencies which derive from it – is its decentralized nature. There is no central entity that manages this chronological chain, but rather a peer-to-peer network. Upon joining it, one gets a full copy of the chain. The record of every transaction ever made is called the ledger. Thus, each link verifies the validity of the entire chain. The full potential of the blockchain technology was utilized in 2009 for the creation of the first cryptocurrency in the world – the bitcoin. The original idea of a cryptocurrency was to exclude the middleman. With all the commodities we have with today’s financial transactions, each of them still goes through a bank. 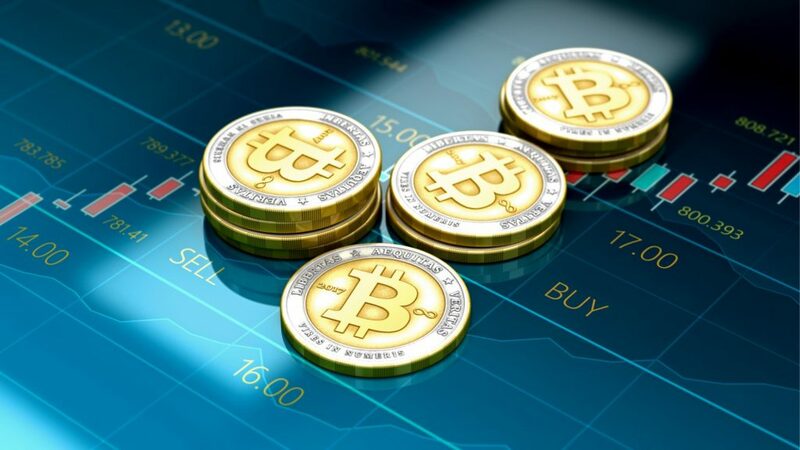 People frequently describe cryptocurrency as “virtual money”. Hence, cryptocurrency is a digital currency with no government issuing it. Also, there is no bank managing and administering it. What does that mean in practice? Well, most importantly, that there is no central organization deciding on adding more currency to the market. This is in stark contrast with traditional currency. We could describe a bitcoin as a digital file containing information on transactions. Or an addition to a blockchain, monitored by each member of the network. When making a transaction, a cryptocurrency user will announce doing so to everyone else. They will provide several pieces of information to the entire network. Their account number, the account number of the person they’re sending currency to, and the amount of currency. So, everyone else will then record this data. But how are bitcoins, or any other digital currency, generated? And how does monetary value come into this equation? You have probably heard of bitcoin mining. Mining entails using special software to solve complex mathematical problems, with a certain amount of bitcoins received as a reward. That is how more currency is issued. Also, it is how all members of the network are motivated to take part and control the validity of transactions. One bitcoin is divisible in 100,000,000 units. Thereby, each unit is identifiable and programmable. Features assigned to each unit do not only imply monetary value. They can represent shares in a company or digital ownership certificates, among others. In late 2016, the total size of bitcoin’s blockchain ledger has surpassed 100 GB of data. The overall value of the bitcoin in mid-December 2017 was estimated at almost 250 billion dollars. However, there are thousands of other cryptocurrency platforms – Ripple, Ethereum and Litecoin, to name just a few. The future is difficult to predict, as expert opinions vary on this subject. They range from those who describe it as an economic bubble destined to crumble. Many are also voicing concern that cryptocurrencies could irreparably damage global economy. On the other hand, there are those who believe cryptocurrencies will steadily be incorporated into traditional ways of handling our finances. Social media is a growing trend and it will continue to grow as time goes on. Billions of people use Facebook and more people tend to join every day. 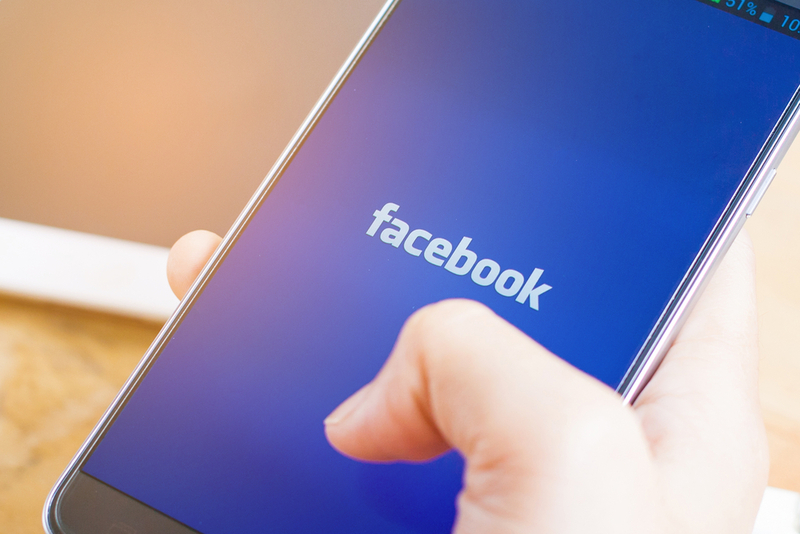 With this knowledge, it would be a no-brainer to get involved in the stocks and shares of a social media giant, as they can show you how the online market is moving and tend to be very huge influencers, especially giants like Facebook. There are millions of websites on the internet and some companies and organizations have placed them into a list of importance. One such company is Alexa. The Alexa 500 is a list of the best and biggest global websites, and social media sites make up most of the top 10. It is not surprise then that social media stocks are very important to watch if you’re investing in online business. To give you a little direction, we have put together some of the best social media stocks that you should be following. If you’re still interested, continue to read on. Facebook is an internet giant and is currently the largest social media platform on the internet. Its current market cap is close to $500 billion and the current prices of shares is around $170. The site itself is one of the most visited on the internet and is placed at number 3 on Alexa’s top 500 list. The company is based in California and have over 15 thousand employees. Dominating most of the social media space, Facebook is definitely a company to watch. Especially now considering they’ve purchased Instagram, which was number 15 on Alexa’s list. It is safe to assume that Google is the most visited site on the internet and is definitely a social media platform that you need to watch. The internet giant is set as billions of people’s home screens on their browsers and they own both Google+ and YouTube. Although Google+ never really took off, YouTube is one of the large forms of social media on the platform. In fact, YouTube is the second most used search engine on the web, topping both Bing and Yahoo. Google’s current market cap is around $646 billion with the share prices hitting around $940. 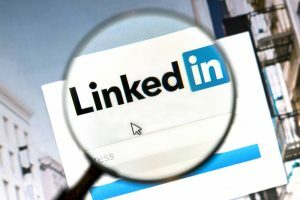 LinkedIn is the social media for businesses and professionals and is rapidly growing. The reason this company is growing is because it was purchased by Microsoft on 2016 and now holds a market cap of $566 billion with a share price of $73. The platform now has close to 500 million users and spans over 200 countries. It is still a very good investment opportunity as they have a very good combination of page daily visitors and page views. Twitter is an interesting social media stock to watch, as it has been suggested in recent years that its growth has begun to slow down. The current market cap is 12 billion with shares prices of $16. Twitter is still on the increase and is a platform you need to watch. They are the 15th most visited site on the internet and have around 320 million users every month. With the recent developments in technology, individuals can now trade and invest from their own homes in their PJs. In most cases, the individuals doing this will either be swing or day traders. However, although the ones doing this are probably making a lot money, there are many that will go in and failure immediately, losing everything. There is no question about it, the day trade lifestyle is stressful and hard and is not what people initially expect. A lot of people want to become a day trader, even individuals already in the stock market industry because it seems so appealing. There are even trading services that teach you how to trade, as explained in this Investors Underground review. You get to sit at home, be your own boss, trade whenever you like and you have the opportunity to make a lot of money. You also have the opportunity to lose a lot of money, however. Many of you will be wanting to get into the game but are not sure what to expect or what you need. This article will go over some of the things you need to become a day trader. 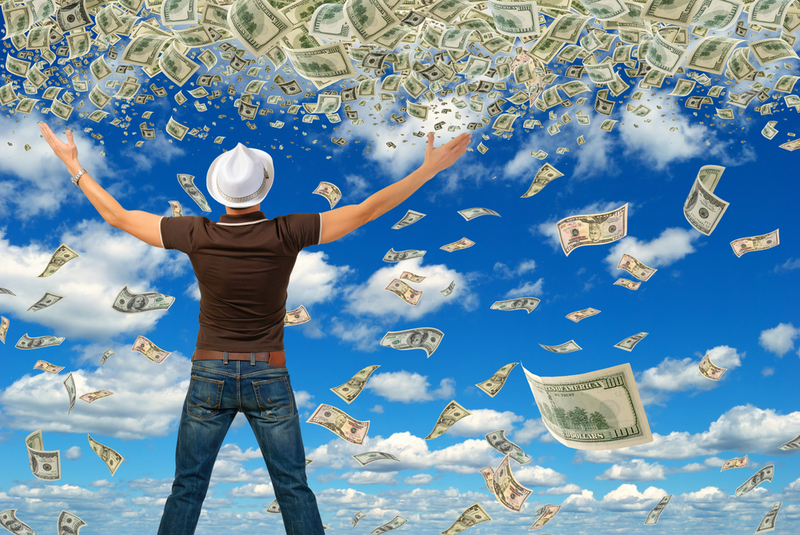 The first thing you are going to need if you’re thinking about day trading is money. There is no question about it, you’re going to need to have a sufficient amount of capital in order to give yourself a cushion if you make a mistake straight off the bat. In most cases, some professional day traders will lose a lot of money in one day but will be able to make it back the next. Have a lump sum of money underneath you can be a great way to test the field and develop a strategy. As I ended on the idea of strategies with the last point, let’s develop it further. If you want to be a day trader you need to have a strategy before you enter the market. All the professionals already have their methods and are following a strict plan with rules. If you go into the market unprepared you’re asking to lose money. There are a lot of different strategies you can take. However, you need to make sure you can cover the commissions for your trades. This means that with the money you have you should be investing in good sized stocks with price movements. You also need to know your entry and exit points. These are very important. If you want to be a master day trader you have to have a number of skills. If you don’t have these skills then you may not be cut out to be a day trader. One such skill is mathematical ability. You need to be able to understand charts and numbers if you want a chance at understanding the stock market and its movements. If you don’t know how to read a candlestick chart you’re be doomed from the start. Charts and numbers are the fundamentals of the stock market and you need know the right knowledge if you are to succeed. Day trading is a great skills to have and you could make a hell of a lot of money if you master it. The fact of the matter still stands though, you may not have the skills, capital or knowledge to even begin trading. It is recommended you have $100,000 before you quit your job to become a trader because you need that financial cushion in case you lose some money. Evaluate your skills and map out your traits. This will help you decide whether day trading is for you. There are literally millions of different stocks available in the stock market. You have everything from the big companies like Microsoft and Apple, to little public companies you have never heard of. 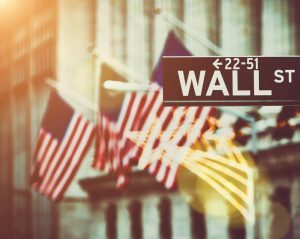 With all these companies and stocks, it can be difficult to keep track of them all, which can be a bit of an issue for investors looking to make their next offer. Fortunately, someone saw this problem and created stock market indices. This is great way to see the value of entire groups of stocks without having to individually measure their values. A stock market index is not difficult to understand and if you’re a big investor they will help you a lot when it comes to choosing an area you want to invest in. The general basis of a stock market index is that it groups together big stocks to make them easier to value and measure. Continue reading for a more in-depth explanation. 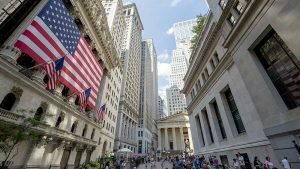 What is the Stock Market Index? ck market index is the Poor’s 500, which takes 500 US companies and combines them into one index value. 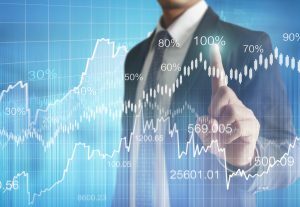 How Does a Stock Index Work? So as we have just discussed, a stock market index is a value of several stocks combined. This gives that stock market an overall value. This value can change over time and helps investors compare the changes to their portfolio. If the stock index goes up one level, it essentially means the group of stocks has also increased by one, making it more appealing to investors. Of course, if that market drops by one level, the index will also drop by one level. However, not all indices work like this. If the total market value of the DJIA drop by 9%, the index might not act in exactly the same way. In fact, this particular stock market (DJIA) is said to give a better representation. There are a lot of different stock indices and they all group together large number of stocks into smaller stock markets. Among all the indices that are available, the most common one has to be The Dow. 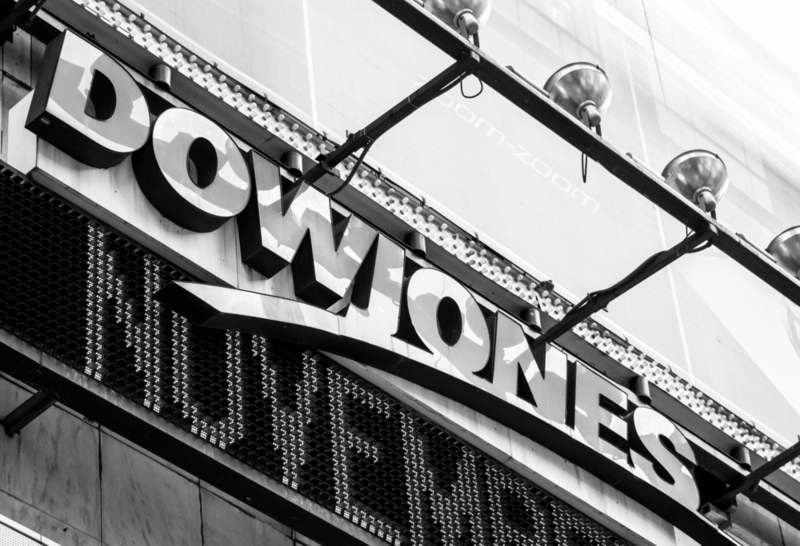 The DJIA (Dow Jones Industrial Average), which has been briefly mentioned above, is probably the oldest and most well-known stock index in the industry. 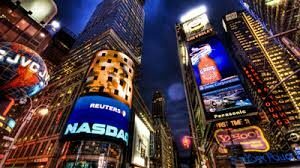 The index contains some of the most important companies in the US, which currently stands at 30. The DJIA is a price-weighted index and used to be calculated using an average. This involved adding all the price-shares of each company and then dividing them by the number of companies in the index. However, this is no longer the case and more advanced algorithms now calculate the index. The reason this index is so well-known is because changes here usually indicate changes in the entire stock market. Because the companies in the index are so huge and well-known, when they start to swing, it usually means everywhere else will too. When you are first starting out you need to be able to understand stock indices. They are very important if you are investing because they can indicate whether or not there is a lot of risk in that particular market. Learning to look at larger indices is also important because some (like the DJIA) can tell you what is happening in the entire stock market. With the right experience and knowledge, stock indices are very helpful. The world of investments can be quite perilous and it constantly demands the investors to be smart and sensible about their decisions. It is, hence, prudent to keep a close eye on the movements and trend of the market and use them to make better informed decisions and avoiding sticky situations. Technical analysis can be immensely useful, in this regards, as it helps you to statistically analyze the price movement of an asset. 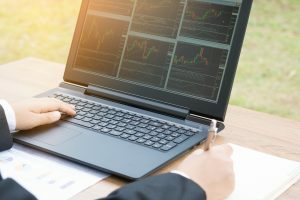 Technical analysis may seem quite complicated for a new trader but it basically is the study of recurring patterns that results from changes in supply and demand. Asset prices will move up when demand is stronger than supply since buyers will be willing to buy more than what the sellers are looking to sell. Hence, in order to entice the suppliers, the buyers will offer a higher price resulting in the overall price to increase. The same is true for the other direction as well when supply is more than demand. The overall price will fall as sellers will be forced to lower the price to sell. These imbalances in supply and demand also give rise to support and resistance levels, which act as barriers to price movement. Support and resistance level are points that the price of an asset struggle to move beyond. At the support level, there will be an influx of buyers as they will deem that price point as quite attractive. This will lead to the support level to act as a price floor since they restrict the asset’s price to fall below that point. On the other hand, at the resistance level, there will be a lot of sellers willing to sell and hence, restricting the asset’s price to move beyond that point. The resistance point, therefore, acts the price ceiling. 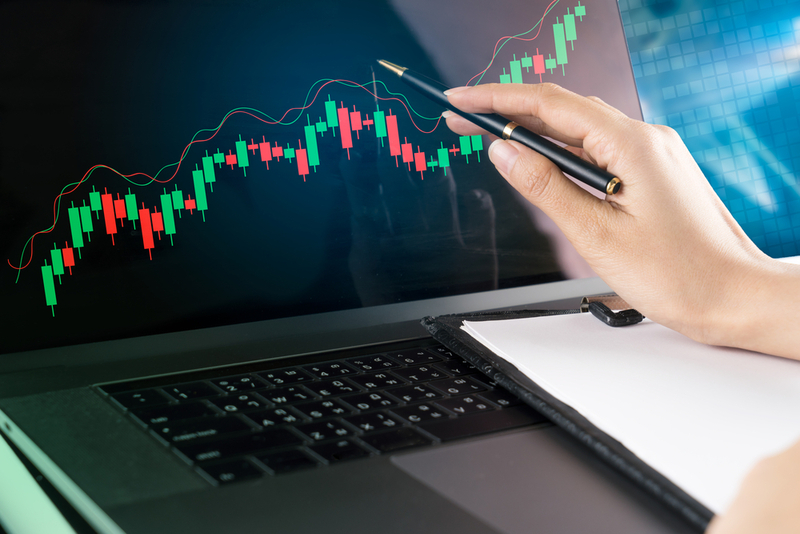 The knowledge of the concept of support and resistance level can bolster your investment strategy and aid you immensely in effectively planning your trade. You can vastly improve the quality of your trades by using support and resistance level. Usually, a good time to buy an asset is when it is near the support point. Similarly, if you want to sell, you should wait for the asset to reach near the resistance level before doing so. 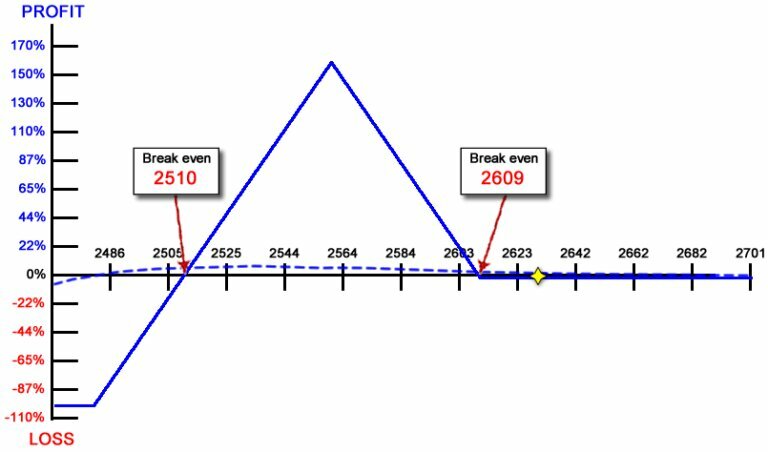 However, if you are in a situation that is not so clear cut, you can analyze the price action near support and resistance levels to get a better idea of the movement and use that action to augment your trading strategy. The most important application of the principle of support and resistance levels is that that it will help you understand the overall trend. An asset will not oscillate between support and resistance levels. If the overall trend of the market is bullish, the stock will break its resistance point. Once an asset is able to break a resistance point, that point becomes a support point in an upward trend. Furthermore, the support levels will hold out in an upward trend where as resistance levels will keep on breaking. In a down trend, the opposite is true. Thirdly, you should use a stop loss order to manage your risk. This should be done around the support level so that you are not caught out when the asset price takes a downward spiral. The knowledge of support and resistance can truly augment your day trading strategy and improve your overall, trade quality. 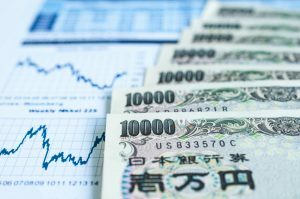 In the 16th century, japan didn’t have pre-defined currency for trading. People used to exchange commodities. Every person working was to give rice as a tax in Japan. At the port, Feudal Lords set up a store for the storage of rice collected. Rice receipt was used as a medium of conducting the sale and buy transactions. Additional receipts were generated for being people to transact with, they would be paid from the other harvests in future. Those receipts were referred as “Empty Rice Contracts” since there was no physical ownership of rice. It was the beginning of one day trading in the world. In the late 17th century a rice trader in Japan known as Mr. Homma Munehisa conducted a very deep study of all aspects concerning the future of rice. The study involved the fundamental and entire market psychology for the rice. Following his study, he became a very successful rice trader in Osaka at Ojima Rice Market. It was reported that Mr. Homma Munehisa had won more than 100 consecutive trades in a row. He became a legendary rice trader in Osaka. Many people referred him to “God’ when it came to rice market. For his contributions in the technical trading and trading capabilities, Mr. Homma Munehisa was honored as “Honorary Samurai’. Candlesticks charts were found by Mr. Honorary Samurai. Candlesticks charts methodology was developed on the basis of the rice trading principles and techniques. In 1775 he wrote a book called “San-en Kinsen Hiroku“. In his book, he shared all the psychological aspect concerning the market.in his book he highlighted on how psychological mind of the traders plays an important role for them to be successful. He also mentioned that human emotions have a huge impact on the price movements for the rice in the market. His book became a great success to him. In the late 19th century, candlestick trading method started to be used by many Japanese technical analysts. The method was used in the Japanese stock exchange. In the early of 19th century, Mr. Charles Dow a very famous market technician picked up the Japanese candlesticks. Candlestick is the most popular technique used to analysis charts for the trade financial instruments by all the traders. It is in use up to date. Recently, Mr. Steve Nison agreed on the power from the Japanese candlestick. He was the first person to introduce the candlestick technique in the western world. It was in the mid-1980s when he first came across the Japanese candlestick. He met the candlestick in one of the Japanese broker offices. He was fascinated by the candlestick and he could not hide it. He began to research about the candlestick with great passion. His research took him three years to become a success writing his first book about the Japanese candlesticks. He became the first person in U.S to publish an article about the Japanese candlesticks analysis. His book was published in the year 1989, “Bibles of Candlestick Charting Analysis, Japanese Candlestick Charting Techniques, and Beyond Candlesticks”. 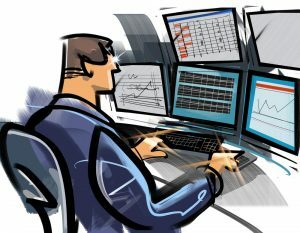 Day trading is a technique which is popularized to all the general investments for the last 7 years. It emerged as a result of a decline in the severe market daily. With huge down days, it was difficult for investors and their brokers to the communique. It was enacted that the market should be accessed by everybody available, thus leading to electronic trading systems. 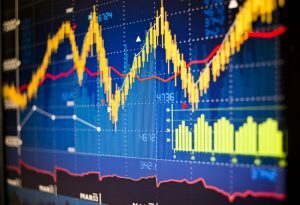 The initial day trading techniques must have an electronic signal which produced huge profits and quick arbitrage although the in the last two years they have disappeared. When using the candlestick signal, day trading is very profitable. The current candlestick signal clearly shows investors sentiment all changes for a certain duration. A combination of stochastic and candlestick signal facilitates high accurate results. When the stochastic and signal coordinate, day trading is the best platform to work on. Candlesticks charts are easy to learn. Prices range of the open and close are usually plotted in a line as a rectangle. In case the close of above the open, the rectangle body is white and if the close is below, the rectangle body is red. Many candlesticks combine and form a candlestick pattern. The red color is used to as a representation of blood of the buyers and sellers in Homma’s reference.